HOMES FOR SALE IN GREATER HOUSTON AREA: New Homes, Resale, Foreclosures & More...: HOW MUCH IS MY HOUSE WORTH? Clients are always asking me about the value of their home, especially the way the housing market Greater Houston Area right now. They often refer to different sites and automated tools for a quick answer, however I don’t find this tools to be accurate and instead sometimes find them misleading. There is a lot of things to consider when assessing the right value for your home such as, size of the property, age of the house, current market behavior, inventory, properties recently sold in the market, trend in the neighborhood and the city, condition of the property among some of the ones that come right off the top of my head. If you are wondering how much your house is worth? contact a professional Real Estate Agent now!! You will be surprised with the difference between this Automated Value systems and a real comprehensive market analysis for your property. Make sure you contact someone that is able to explain the differences and why they came up with that estimate. You may not agree all the time with the estimate you are provided with, however they should be able to show you statistics and how they came up with that number. If after reading this article, you are wondering how much is your house worth?. 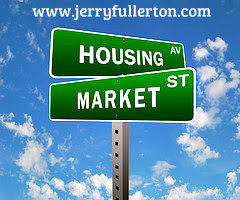 Send us a request and Get Your FREE Home Value for your house in Greater Houston Area!